There are over 600 wineries in Napa and Sonoma Counties, but it’s quality, not quantity, that sets the region apart. Plan to get lost on back roads, and, as you picnic atop sun-dappled hillsides, grab a bottle or two of the regions wine, some exquisite cheeses and bread and know firsthand the thing that has the greatest meaning in Wine Country, the art of relaxing and enjoying the moment! A Wine Country escape is a prized ritual in Northern California. Napa wineries are world-renowned. Tastings are a given, but add in the hiking, biking, spas, and hot springs, and it’s easy to find something fun to do from your Napa Valley or Sonoma Valley vacation rental. Looking for things to do in Napa Valley? Why not try a wine tour by bike? The most precious souvenirs you'll take home from any Napa vacation are the memories you keep. When you spend a day on a bike tour with all five of your senses engaged, you're guaranteed to take away memories that will last a lifetime. In Napa Valley there are many additional things to do to enjoy. Wake up early to greet the sunrise with a hot-air balloon ride. Then tour your favorite wineries from your Napa villa. After a full day, marvel at the epic valley view at sunset. If biking is not your thing, just hop aboard the Napa Wine Train! Sonoma Valley and county invites you to explore and enjoy diverse activities. Experience arts and culture, outdoor activities in the redwoods, whale watching along the coast, or take a hike in the amazing state and regional parks of the San Francisco North Bay area. Sonoma County offers something for everyone: from wine lovers to nature enthusiasts, from families to couples on a romantic getaway, you will find lots of fun things to do, all within comfortable driving distance from your Sonoma vacation villa. Take an exciting zip-line tour through the redwoods and then lounge poolside at your Sonoma vacation rental. One of the few towns in the valley with multiple attractions not related to food and wine, Sonoma has plenty to keep you busy for a couple of hours before you head out to tour the wineries. And you do not need to leave town to taste wine. There are more than a couple dozen tasting rooms within steps of the plaza, some of which pour wines from more than one winery. After a long day of wine tasting, the last thing you want to do is get into a car and take a long drive to your end destination. 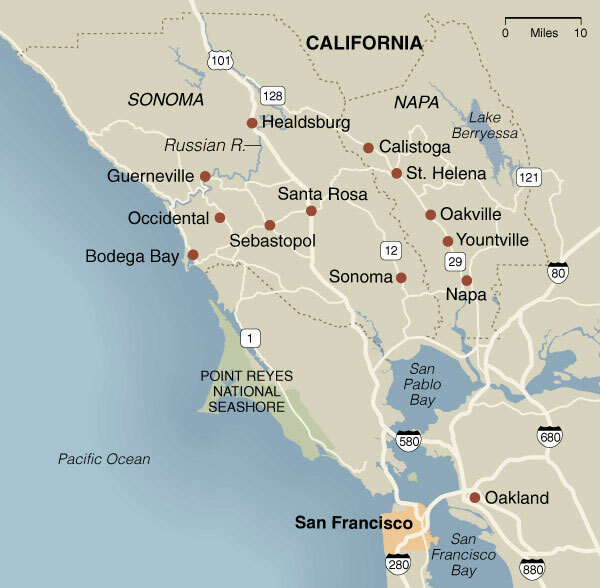 It definitely helps to plan your wineries around the Napa or Sonoma villas that you intend to stay. Finding the right Sonoma or Napa vacation rental is key and you can do this by contacting My Favorite Villas.